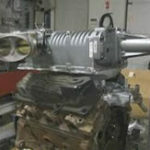 Looking For A Used Ford Ranger Engine? 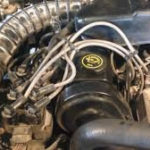 The process of trying to find used Ford Ranger engines for sale in South Africa is notably annoying if you are with limited time. 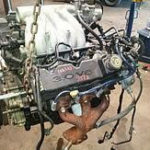 Since there are many hundreds of Ford scrap yards out there, it might not be feasible to phone them all to compare while you are pressed for time. 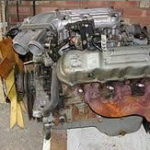 Our company understands that you’ll need a trustworthy used Ford engine within the quickest length of time possible. Whether your top priority is pricing, durability of the engine, or turnaround time to get the engine, we have a quick solution that will remedy these concerns. Simply give us a call or submit the enquiry form and you will be one step closer to obtaining your substitute motor. 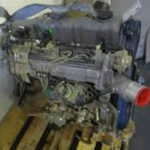 looking for a complete new or secondhand engine on a Ford Ranger 3.2 liter 2014 year model, in the Johannesburg area, current engine nr: SA2HPEY67829. looking for a complete second-hand 2.2 diesel, Ford Ranger T6, Turbo engine, 2013 year model. 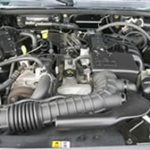 looking for a engine with and one without the turbo, secondhand, for a Ford Ranger 2.2, 2012 Year model. The Ford Ranger 2011 model year pickup is built on the same platform as the Mazda BT-50 and is offered in three body versions: with a double, one-and-a-half and a single cabin. The double cabin has 4 standard doors and 5 seats. The legroom in the rear of the double cabin model is the largest in this class of car. A distinctive feature of the generation has become a bright appearance with a “licked” aerodynamic design – this gives the car a more modern look, at the same time increasing fuel economy. The Ford Ranger has also got new engines, is distinguished by improved safety and offers a higher level of comfort than ever before. The car is offered in four versions: XL, XLT, Limited and Wildtrak – and is completed with a manual or automatic transmission. A variety of accessories are offered, not only designed to improve the appearance of the pickup, but also make practical decisions (protection of bumpers, hard top, hard awning, etc.). The simplest equipment on the Ranger XL is a power steering, self-locking differential, steel wheels, body-colored grille and front bumper, black door handles and mirrors, tilt-adjustable steering column, up to 4 speakers for the audio system (with a double and a half cabin) radio, combined with CD / MP3-player, electric windows, central locking, electric mirrors and heated front seats. With a complete set XLT added aluminum alloy wheels 16 “, door handles, mirrors and lining in body color, air conditioning, audio system with CD changer, velor upholstery, leather steering wheel and gear knob, door sills, plastic body coating. Ranger Limited is even higher level, with luxurious leather trim, chrome trim, rear parking sensor, arcs in the back. Ranger Wildtrak demonstrates the maximum level of equipment and exclusive body and interior parts: two-tone paint with unique colors of Chilli Orange and Passion Red, original chrome-plated details and a signature Wildtrak interior trim in leather and alcantara, etc. The model is equipped with a basic diesel engine Duratorq TDCi 2.5-liter capacity of 143 hp and torque of 330 Nm and boasts the best in class towing capacity. 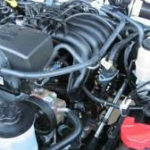 The engine is offered with a 5-speed manual or 6-speed automatic transmission. Fuel consumption is 7.8 liters per “hundred” in the urban cycle and 10.9 liters in the city. In addition, a 2.5-liter gasoline engine (160 hp) on the mechanics and a 200-horsepower diesel engine of 3.1 liters with a choice of “mechanics” or “automatic” were installed on the Ford Ranger. The Ford Ranger 2 is highly manageable with all-wheel drive, a long wheelbase, rigid body frame, limited slip differential and ABS. In the list of advantages of the model are also large corners of the terrain (front overhang angle – 34 degrees, rear – 20 degrees), as well as high ground clearance, which is 207 mm without load. The maximum ford depth is 750 mm. In normal mode, the car uses the rear-wheel drive. To enable the four-wheel drive, you must stop and move the mode selector to the “4H” position; disabling is done at any speed. In heavy road conditions, in order to realize all the capabilities of all-wheel drive, the “4L” mode is used, which enables downshift. Speaking about the safety of the Ford Ranger, first of all it is worth noting that this pickup truck was awarded a 5-star Euro NCAP rating. The basic equipment includes driver and front passenger airbags, an ABS system, pretensioners and seatbelt load limiters, height-adjustable head restraints, and a steering column that folds upon impact. Special built-in rollers in the base of the front seats serve to prevent diving under the seat belt in frontal collisions. The XLT, Limited and Wildtrak trim levels install driver and passenger side airbags. Ford Ranger will not give up in the cross-country utility vehicle, but more utilitarian. However, the latter fact does not matter much, because many of the owners of pickups do not have to carry in the back any bags of potatoes or building materials. The Ford Ranger is spectacular and beautiful on its own, especially in the top-of-the-range Wildtrak. In addition, it is smaller and sportier than many other more bulky pickups and SUVs and is quite convenient for urban use. All this, together with an interesting price, creates the basis for the popularity of the model.